For this post, I wanted to help to demystify the FDA's SPF rating system. There is so much confusion and misinformation regarding the numbers on the bottle and what they mean. So what is SPF? What does it do? SPF means "sun protection factor" and refers to protection from UVB rays, or the rays most responsible for burning the skin. The SPF number refers to an extension of time a person can be exposed to UV radiation before initial reddening of the skin occurs. For example, if an individual would normally start to redden after 5 minutes of exposure, an SPF of 10 - with proper application - would give him/her 50 minutes. There are some very important things to clarify. First, this number is extraordinarily individual and a bit arbitrary, as any "safe" time in the sun will be different from person to person. Second, the SPF rating does not give any indication of protection from UVA rays, the rays that age the skin. There is also the danger of false security. The lack of a burning response often keeps people out longer, exposing themselves to more UV radiation, skin aging, and cancer risk. A higher SPF number also indicates protection from a larger percentage of the sun's rays, but again this can be misleading. An SPF of 15 screens 93% of UVB rays, while SPF 30 comes in at 97%, and SPF 50 at 98%. In my opinion, anything over SPF 50 is not really worth the return. The active ingredients needed to achieve that really high SPF could cause irritation, especially to a sensitive skin. Ironically, those with sensitive skin often opt for a higher SPF number, thinking it will provide their delicate skin more protection. Also of note is the FDA's decision to no longer legally recognize labeling above SPF 50. I hope this clears things up a bit! 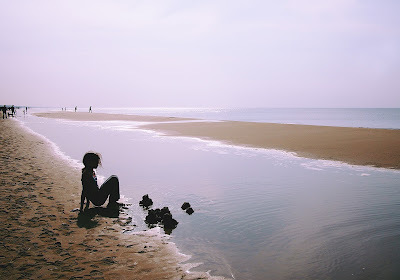 There are still a whole slew of topics I didn't get to this month, so I may be peppering some additional sun protection posts throughout the summer months. Have a question I didn't get to? Please feel free to email jill@jjodar.com or leave it in the comments for me! With so many facial sunscreen options - making a selection can be daunting! Here’s a few tips by skin type to make your process easier. Lightweight formulas that absorb into the skin work best. Common active ingredients are avobenzone, octinoxate, and oxybenzone. Avoiding physical blocks like zinc oxide and titanium dioxide that sit on the surface of the skin can make all the difference in making a formula tolerable and not too“greasy” for an oily skin. A lightweight formula is again a must, but be cautious of oil-free formulas, many contain pore-clogging ingredients like isopropyl myristate. Resist the urge to skip the sunscreen, UV protection allows the skin to focus resources elsewhere, keeps inflammation down, and will reduce that post-pimple discoloration. Look for physical blocks like zinc oxide and titanium dioxide- they sit on the surface and can feel great as well as providing a bit of protection for dry skin. As dry skin is very often sensitized as well, look for a formula safe for sensitive skin, or one boasts some barrier-repair or anti-inflammatory ingredients. The skin with a bit of both worlds can usually tolerate various formulas–including some that blend both physical blocks and those that absorb into the skin. Combination skin can also benefit from some multi-tasking, look for antioxidants or other skin boosting ingredients added in. If you don’t like it, whether it’s the smell, feel, tint, or whatever, move on! Sunscreen that sits on your shelf isn’t helping anyone. Utilize your esthetician/skin therapist as a resource! Most will happily sample you, or do a free consult- or take a test run of something you’re considering post-treatment, and see how it feels that day. * As you you read this I'm in the middle of a digital detox! Please forgive a slight delay in responding to comments or messages. I will be back 5/26! People have a lot of questions (and a lot of confusion) about sunscreen. For this post, I thought I'd tackle UVA and UVB. There is some great in depth information here from skincancer.org, but here are some key points. UVA penetrates the skin deeply and plays a big role in photo-aging the skin and causing wrinkles. The strength of UVA rays is consistent throughout the day, penetrates cloud cover, and glass. The words "broad spectrum" are your only guide to knowing if your sunscreen protects from UVA. Unfortunately, the amount of UVA a sunscreen must protect from to be listed as broad spectrum, did not make it into the FDA monograph. 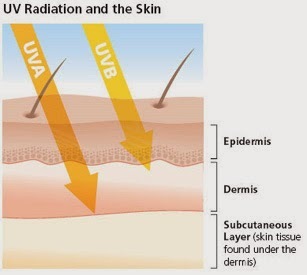 UVB is responsible for damaging the superficial layers of the skin, and causing redness and sunburn. Reflective surfaces like water, snow, and ice can create a "bounce-back" effect - multiplying the amount of UV radiation that hits the skin. UVB is strongest in the US from April to October, between 10am and 4pm, but can burn skin year round- especially at high altitudes. The "SPF" rating on your sunscreen ONLY applies to UVB, and refers to extending the length of time it would take for the skin to first show signs of redness, it does not refer to UVA protection. I'll be breaking down the SPF definition mentioned above in more detail in a future post, when I return after Memorial Day! Today is Melanoma Monday- bringing attention to the deadliest form of skin cancer. According to the American Cancer Society, 73,000 new cases of Melanoma are predicted to be diagnosed in 2015. 3.5 million cases of non-melanoma skin cancers are diagnosed annually. You can download a free body mole map, and finds loads of information here from the American Academy of Dermatology. UV radiation is a known carcinogen. Be safe!! No sunscreen blocks 100% of UV rays. This is the biggest take-away. 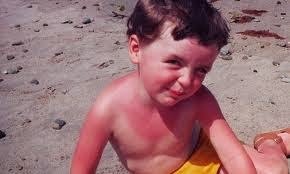 I believe using the term "sunblock" gives a false sense of security of protection that isn't really there. Again, we're talking semantics. If a label, or its representative makes some of the claims above, move on to another brand. The deadline for these changes is long past. And hey - let's stop saying it too! In honor of Skin Cancer Detection and Prevention Month, I'll be doing some themed posts all month long. First off, I'm loving the change from "Skin Cancer Awareness" month. Yes, we should all be aware of skin cancer but I think the new title hones it in nicely. With that in mind, I'll be posting about skin cancer, sunscreen and debunking some myths. Time permitting, even another fun Adobe voice app clip. While I try to be brand neutral and don't promote products when posting here, I am making an exception this month. All sunscreen is 20% off all month, in my shop, and in the office. Just enter the code SUNSAFELY at checkout, if you're ordering online.